After being denied by the House Freedom Caucus multiple times, a measure to let schools give meals to students without money in their accounts was revived as an amendment to another bill. 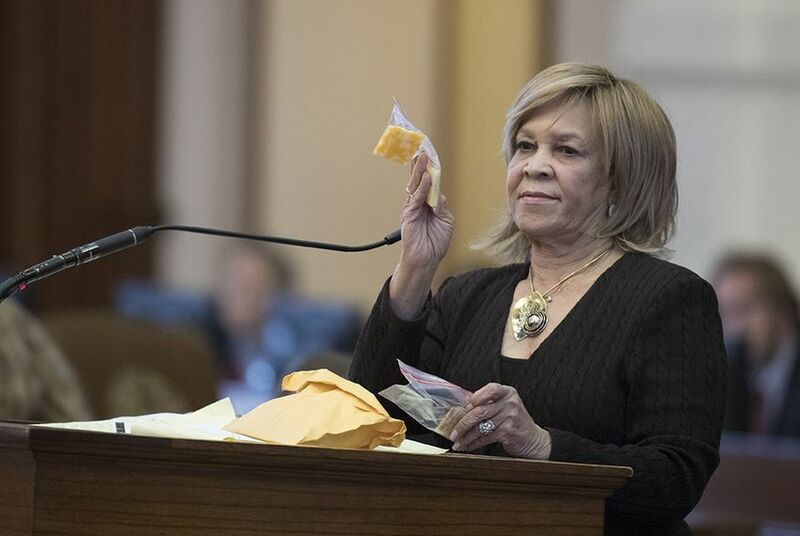 A diluted version of a bill by Rep. Helen Giddings, D-DeSoto, which targeted food shaming in public schools and has repeatedly been shot down by the House Freedom Caucus, was revived Saturday and passed in the House as an amendment to a similar bill. Senate Bill 725, which would let school districts offer uneaten or donated food to a nonprofit to give to hungry students, passed 133-0 and now heads back to the Senate, where the upper chamber will decide whether to accept the amendment. The amendment, introduced by the bill's House sponsor, Rep. Diego Bernal, D-San Antonio, was based on Giddings' bill and would allow districts to give meals to students without money in their school lunch accounts — and also give them a grace period to resolve insufficient balances. But it wouldn’t require it, as Gidding’s original bill did. Rep. Jonathan Stickland of Bedford finally stood down after clarifying with the author that the amendment was not a mandate. The use of the word “may” instead of “shall” was enough to win his approval. Stickland had stalled the legislation on Friday evening on a point of order that would have killed Bernal’s entire bill. In response, Bernal stripped an amendment that would have preserved Gidding’s measure. Bernal said his Saturday amendment didn’t come close to implementing Gidding’s original bill. But he said it retained the spirit of her measure. Bernal said educators have told him schools often want to give lunches to kids with insufficient funds in their account, but that their lawyers wouldn’t always authorize it. "What they said was, 'There are all these things we would like to do but because it’s not in black and white, we can’t. Our lawyers won’t give us the green light,' " Bernal said. "And now their lawyers can look to the law and say, 'You can.' "
Although he was happy the bill passed, Bernal said he was “shocked” by the actions of lawmakers who came after Gidding’s bill and his own after he amended it. Rep. Helen Giddings had her bill shot down three times before a watered-down version of the legislation passed as an amendment to a similar bill on Saturday. Giddings gave an impassioned speech about the issue earlier this month after House Republicans killed her legislation.